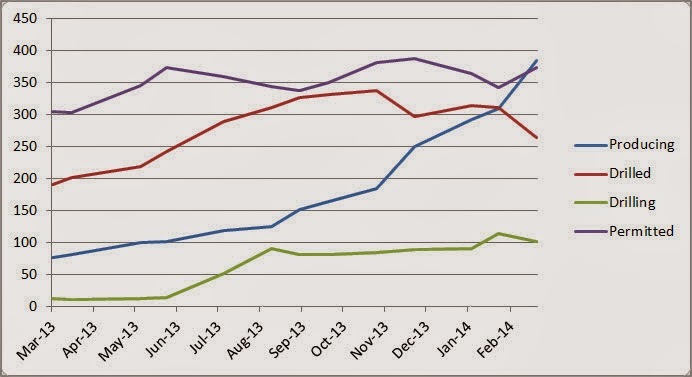 Utica Shale Rig Count - Where Does it Rank Against Other U.S. Basins? Looking at the latest Rig Count numbers (March 14, 2014) from around the U.S helps to put Utica drilling activity in perspective. 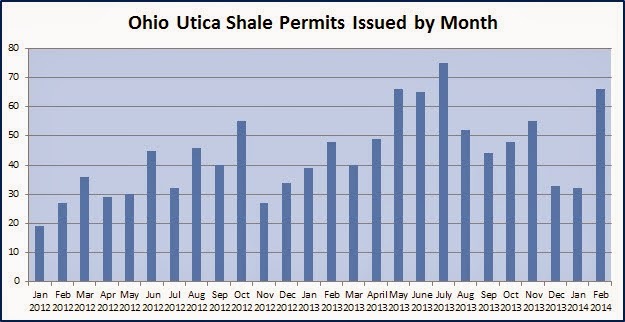 As of March 8, 2014 there are 103 wells classified as drilling in the Ohio Utica Shale. Below is a click-able, zoom-able, map identifying the wells by location and other attributes (operator, well name, county, township, etc).